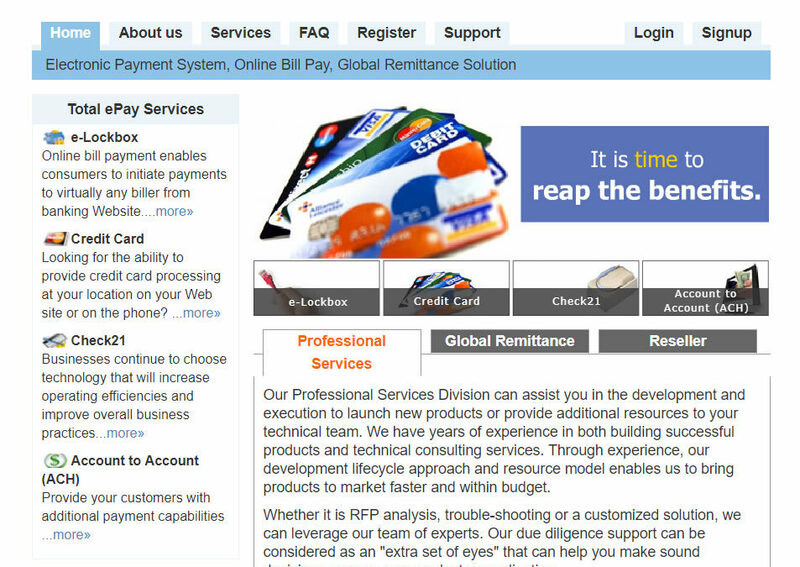 RKSI Provides Complete Payment Solution for Total ePay | RK Software, Inc.
Online Accounts Payable and Receivable Solution with the capability to interface with various accounting package. Total ePay as a web-based ACH solution provider was a result of culmination of the software and business development of a few visionary professionals coming from compliance and banking background. It developed its own proprietary software and maintained its state of the art status. Total ePay maintains offices in New York City, Long Island City. The company and its clients do business worldwide. To provide the Software Capability for Total ePay to offer online payment solutions to various eMerchants. Total ePay is able to accept e-Merchants and offer them the capabity to accept and receive payments online with optional integration to standard accounting package.